9 useful websites in a fun online IT learning game. 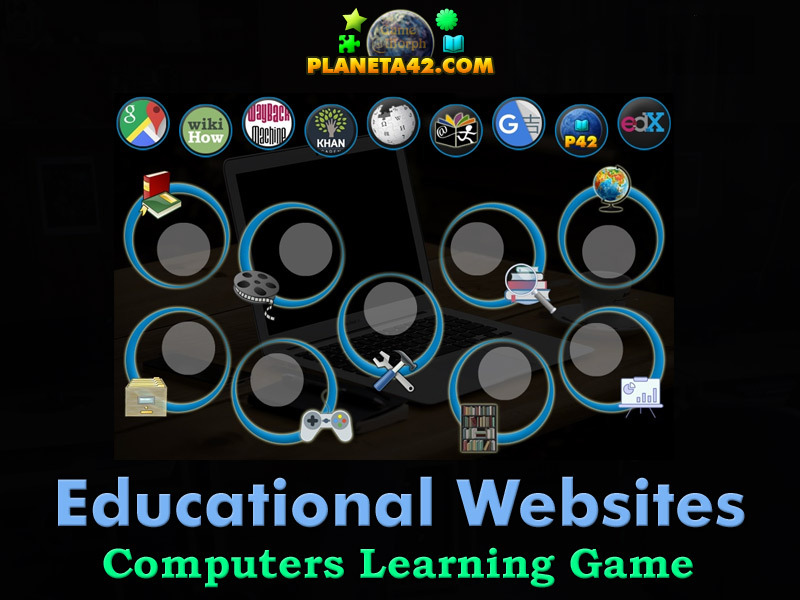 "Educational Websites" is a free online knowledge level game to explore and learn useful websites. Minute to win it game. Computer Technology Class for desktop computers, laptops and tablets, which may be played in the web browser. Place the educational websites logo in the correct category. Computers learning game, suitable for online classes and interactive lessons. Free online educational game. IT lesson 2 for 8 grade clasroom game. How to play Educational Websites. There are 9 logos of educational websites at the top of the screen. Drag and drop them in the socked with the correct educational category. When the site is placed correctly, a link will be available to this site. Sort all 10 pieces to win the game. Know some useful websites and get +1 Knowledge Level. The computer technologies and globalization changed the world in a way most people can not yet comprehend. The educational system in most countries is more than 50 years old, where computers change everything in a matter of decades. Nowadays the paper dictionary is so obsolete, that anyone who have used an online translator, could hardly take a book and search for a word in it. The times when you can see a tourist with a map to ask you for direction is almost long gone. When you have question about virtually anything, you can just google it. But google is not the one who know everything. It is the people who know the things and are willing to share. Google only connects you to the people who know your answer. The computer technologies also offer this awesome way to learn and study interactive. This fun game present a small list of useful websites, which are a good companion for every curious person who want to explore and take part in the awesome world we are living in. Labels: Games about Computers , Classroom Games , Puzzles , CT Games , Education Games , Computer Technology Games.